Nearly out of yarn? Need another set of needles for your next project? Running low on stitch markers or tapestry needles? Or are you looking for the perfect pattern book? Try one of these terrific online shops to fit all your knitting needs. No need to go running around the Internet — the best are all right here! The following banners and links are affiliate links; if you make a purchase after clicking, I may make a commission. For more information, you can read my Disclosure Policy. Throughout this site, you may find Amazon ads within blog posts. These ads contain products relating to the post and products that I think may help you with whatever you’d like to knit. Below you’ll find two sets of products: books helpful for those learning to knit, and books with knitting patterns that are ideal for customization to create your own special projects. Leisure Arts offers a great selection and terrific prices on yarn. Leisure Arts also offers knitting needles, notions, and a terrific supply of knitting pattern books. You can find many other crafting supplies as well! Lion Brand has long made a name for itself as some of the country’s best and most affordable yarns. They add new lines to their selection all the time. 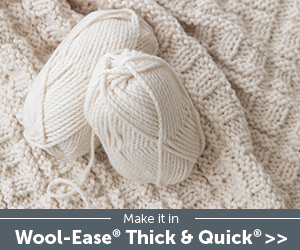 You’ll find everything from inexpensive and easy-care acrylic to more luxurious (yet still well-priced) merino, alpaca, cashmere, and much more. Take a look and see all the goodness Lion Brand has to offer in yarn! 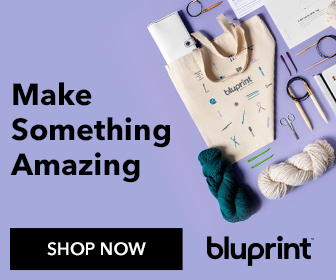 Bluprint is the new name of the fantastic online crafting store formerly known as Craftsy. In addition to well over a hundred knitting classes (and a multitude of crochet, spinning, and weaving classes as well), you’ll find project kits, yarn, and knitting tools. I’m especially impressed with their selection of yarn, which includes popular brands like Lion Brand, Bernat, Cascade, Patons, Rowan, and their own exclusive yarn brands, Cloudburst and Sprightly. Their prices are terrific, and their customer service is top-notch! Interweave recently merged with the online yarn store Patternworks, so it’s now bigger and better than ever! Interweave has been a huge part of the knitting industry since 1975, and it’s by far the largest publisher of knitting books, magazines, and other media. Thanks to the recent merger, you can now find not only the perfect knitting book, magazine, DVD, or kit, but also the perfect yarn, needles, and supplies you need. You can even find knitting and crochet apps for your iPhone or iPad! You can read all about Darn Good Yarn in this article. 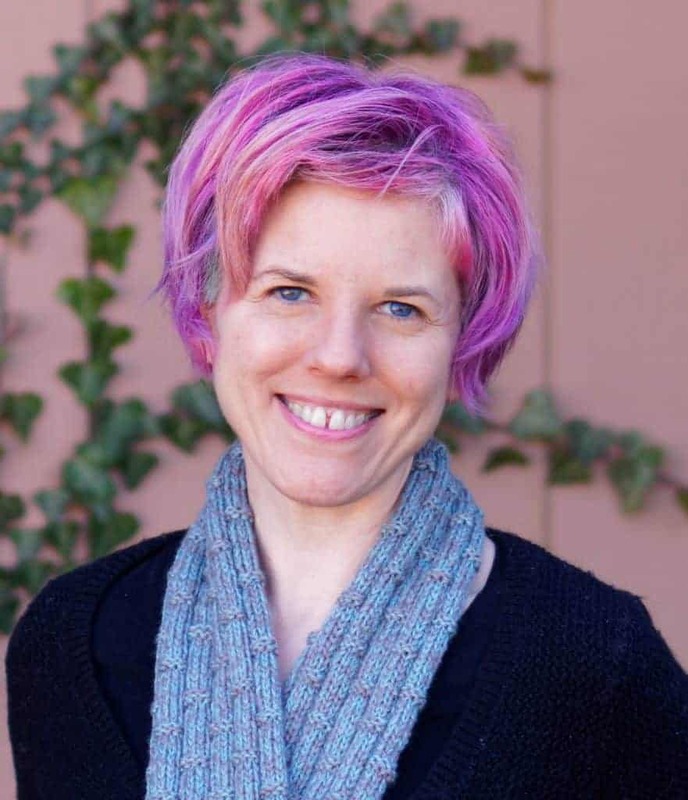 In a nutshell, Darn Good Yarn is a fair-trade online company devoted to paying good wages to yarnworkers and other artisans in India and Nepal. They offer beautiful handspun yarn as well as tools, other craft supplies, and already-made products like clothing, accessories, and home décor. 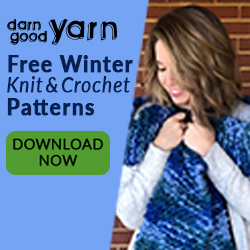 My favorite thing about Darn Good Yarn is their Darn Good Yarn of the Month club, where for just $10 a month (shipping not included), you get a beautiful hank of yarn, a free knitting and crochet pattern, and a special gift. This is a fabulous company to support! So if you’re ready to stock up on any needed knitting supplies, visit any one of these terrific online stores!